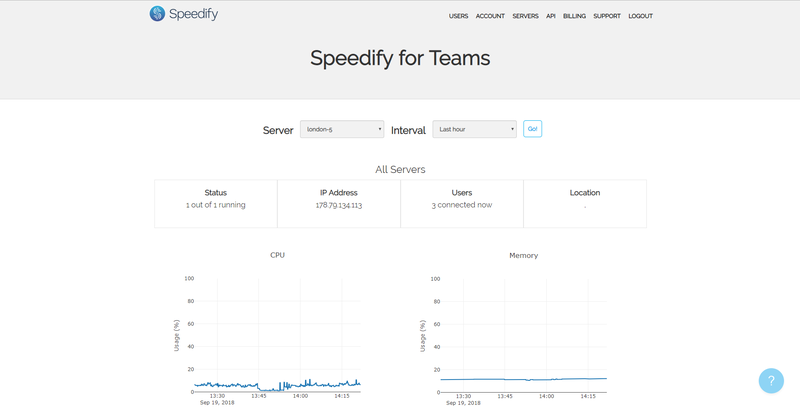 This screen allows you to monitor your team's Dedicated Speed Servers. IP Address: The public IP address(es) of this server. Useful for firewall white lists and port forwarding. Uptime: This graph simply shows a 1 for time periods that the server is available and working and a 0 if it is not operational for any reason.